Dee Estuary Off-site events, Wetland Bird Survey, badgers and sandhill rustics! 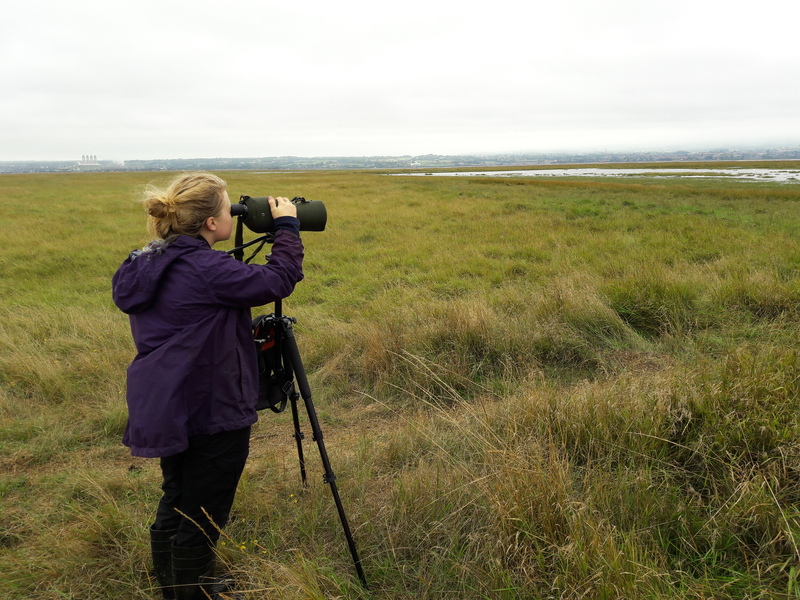 Off-site events, Wetland Bird Survey, badgers and sandhill rustics! I have been kept very busy since returning from my adventure on Skomer Island, still enjoying gaining valuable experience working practically on the warden team and working on the visitor operations side. August started off with a great opportunity accompanying Katie, our membership development officer, to an event at nearby Ness Botanic Gardens. I was very keen to see how off-site events work and to get out and about engaging and inspiring people about the important work the RSPB does and also what the RSPB is for people that haven’t heard of the charity or have but just aren’t sure what they do. The event was a family fun day with lots of activities and fun for all ages going on as well as different stands and other charities. We had our stand set up with lots of information about the RSPB, what we do and how membership is vital to the charity's work. I was helping out with the family activity we had, for children to make their own breakfast cereal bird feeder to take home, which became increasingly popular. Lots of children engaged with us and I am always so amazed and uplifted by just how knowledgeable some of these children are about the natural world and animals. It was so lovely talking with them about what nature they get at home or see whilst they are out, what were their favourites and to see them so enthusiastic was very special. It was also great being able to talk to the families about how they can get out in nature and the different activities they can do at home from our nature discovery pack. In August, Al the warden took me out on Burton Marsh where I did my first Wetland Bird Survey (WeBS), the national coordinated count of all wetland sites in the UK through which it is possible to monitor populations over time. We made our way out to a higher point on the marsh called the Sand Hill, which offers a good viewpoint to look for birds being pushed onto the inner mudflats and outer saltmarsh by the rising tide. Armed and ready with binoculars and a scope we set out to count, I started off with counting the shelduck and then a big group of cormorants. Everything we saw we did a count for; Al who is very experienced with these counts gave me some good tips for counting large groups of birds and best practice when they are flying quickly past. The count was busy with lots of different birds such as curlew, dunlin, common tern, marsh harrier, merlin, little egret, great white egret, and oystercatcher to name a few. I really enjoyed being out on the marsh and practicing counting with the warden it is great I can gain these skills and experiences to keep developing. I continued my day-to-day tasks, spending half my time helping out in the visitor centre, engaging with people and introducing them to this wonderful site if they haven’t already been and the other half doing practical work out on the reserve. There has been lots of vegetation cutting out on the wet grassland and I’ve really enjoyed our volunteer work party days. Some cutting and tidying was done along the driveway near the carpark, we were all enthusiastically on hand with rakes and forks lifting MANY barrow loads of cut vegetation to take away and burn. 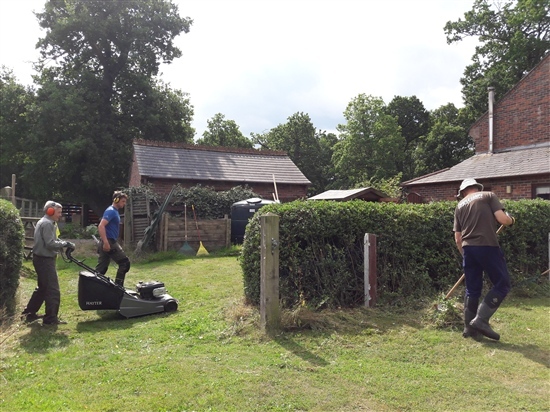 We then proceeded into the garden where mowing and further cutting and clearing took place. This was to keep it tidy but also in preparation for the staff and volunteer barbecue that happens each year. Unfortunately the weather was not in our favour so we moved the party over into the visitor centre. The rain did not dampen anyone’s spirits it was a great evening bringing everyone together to celebrate the success of the reserve and acknowledge all the staff and volunteers who give so much of their time! Throughout August, we ran the Badgerwatch events each Thursday evening; Gwen and I attended to assist and gain experience in preparation to then lead one ourselves. It was great for us to see how different members of staff lead the walk each adding their own twist with their knowledge and experience and also it was so lovely to be able to introduce fellow wildlife lovers to these beautiful creatures. I was able to tell them how putting in the electric fencing around the main scrape has helped to keep ground predators out and stop the badgers from taking the wader chicks or eggs which is critical as the site is managed for its breeding wader productivity. I very much enjoyed leading my first guided walk and was happy it was the badgers I was able to speak about and pass on the information I had learnt. 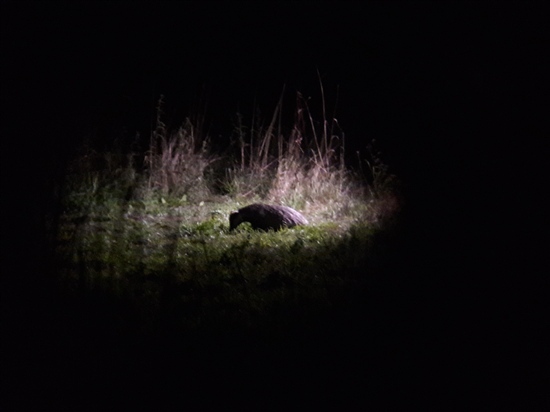 It was very special to be able to introduce people to the iconic badgers, some for the first time as I can remember prior to my placement I’d not seen a live badger and certainly not as close or displaying the social and foraging behaviours I have now witnessed myself! Another highlight for August was a trip to Point of Ayr one evening with site manager Graham in search of one of the site's special residents, the sandhill rustic moth. 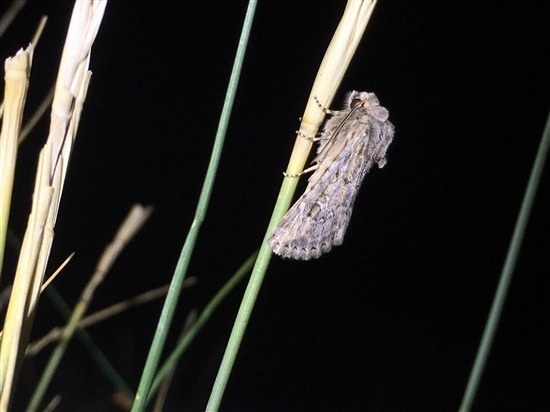 When we arrived, the weather deteriorated but we still went out into the sand dunes searching with our torches for these moths that you can find resting on the stems of their food plant called sand couch-grass. These moths emerge from under the sand from the plant root around August and September time. That particular blustery night we did not manage to find any but Graham had better luck another night and found 50 individuals, which is an increase on last year’s count of 35, and a significant number for this moth on the international red list of threatened species.